This Friday, December 9th, the B-Cycle Bike Sharing Program will go into hibernation for the winter. In its second season, B-Cycle has had continued success with almost 200,000 rides. 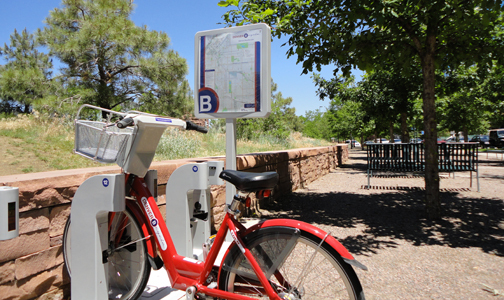 Denver B-Cycle now has 50 stations and more to come next year. I believe the Riverfront B-Cycle Station has been a great addition to the neighborhood with all great parks and trails just steps from The Plaza. Starting at 5:00pm on 12/9 riders and officials will join together to ride the bikes back to B-Cycle headquarters at 2737 Larimer Street where they will be stored for the winter. Then join in a fun happy hour at the Meadowlark Bark for a drink. The first 85 riders will receive a free RTD ticket to get home and everyone that returns a bike will get a free beer. Click here for more details.